Have you ever noticed that there are two types of goals? 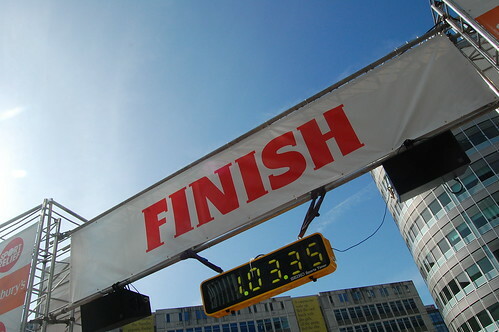 There are outcome goals, such as wanting to lose X amount of pounds. Then there are action goals, such as working out Y number of minutes each week. When setting goals, I like to have a healthy mix of both. My weight loss goal is not a number on the scale. It is a pant size, more accurately a bikini fit body. 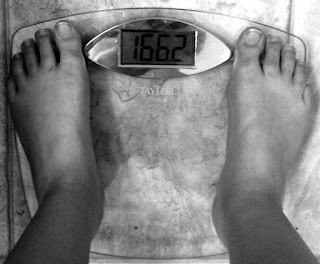 However, lately my focus has been on the weekly number the scale gives me. Focusing on the wrong outcome goal has inhibited my progress. My pant size has not decreased in a couple of months. Starting next Monday you will notice a small change, my scale picture will no longer be shown. However, I will still be weighing in weekly and adding it to my Weight Loss Progress Page. The graph really puts my weight loss into perspective. The scale and my bikini are outcome goals. It is the daily action goals that will get me to where I want to be. For the most part, my action goals have been set for me. As a Mamavation mentor, the workouts that I complete daily have been designed for us all. So, I just have to make sure that I do them. My nutritional goals are 100% in my own hands. The past few weeks food has not been my fuel, it has been the source of immense physical pain. I am hopeful that the tests my doctor ran today will shed some light on what is going on. Then I can move forward and begin to look at food as fuel again. What kind of goals do you set? Are you purely motivated by the outcome you wish to achieve? Or do you need the action goals as a road map? Maybe you are like me, and like a mixture of both. Whatever your goals may be, I hope that you are able to achieve them. QOW: What steps have you made so far this year to improve your quality of life? I am making an effort to allow less things to stress me out. My husband has always told me to worry less, yet just turning off worry wasn’t easy. Now if I start to worry or feel stressed I go out for a walk or run. Begin relaxed feels one million times better than stressing out over nothing. 3 Responses to Outcome, Action, or Both? I hear ya on the goals. I need to set new ones for myself now that the 2 weekchallenge is done. I need to keep being motivated. i hate hitting that plateau now and then. have a good week i see you're scaled moved though. Oh, no! I hope you find some relief and answers about the food issues. No fun. Yes, I could deal with letting things go also… stress is horrible, but near impossible to drop "cold turkey". My DH always says, "It is what it is" in stressful situations. I used to hate that phrase, but now I think it is very powerful. Just saying it when I am stressed and upset has helped a bit. Oh bikini's. I dream about them. I look at beautiful bikini's online and imagine how great it would feel to wear one. It's one of my goals too! I hope your food issues are solved soon & good luck with your new plan! !